This week we were at Mercado Chileno and were delighted to represent one of our newest producers and showcase their fabulous Chilean wines. 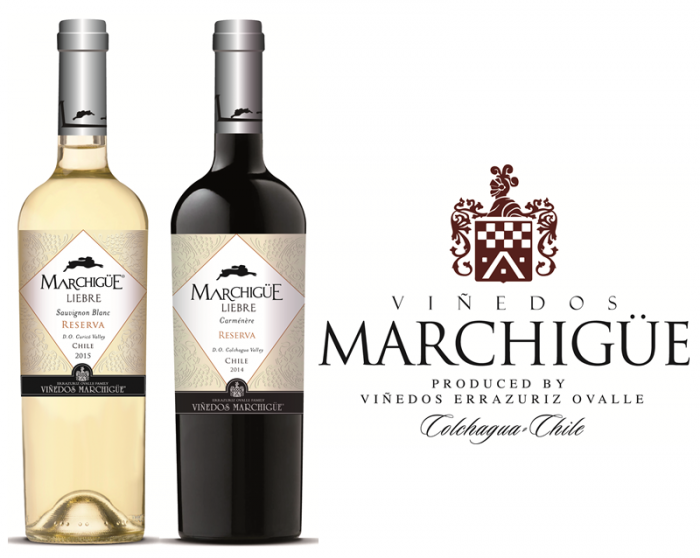 Viñedos Marchigüe is the newest addition to the Errazuriz Ovalle family’s portfolio. The family pride themselves on crafting wines produced from grapes grown in some of the most sought after land in Chile. Their vineyards are predominantly clay/pumacitic in soil type and are situated in the Colchagua (red wines) and Curico (white wines) valleys and it is here that the Errazuriz Ovalle family have been producing wines since 1994. The estate vineyards in the Colchagua stretch over 2000 hectares of vines and are split between 14 different varietals, whilst the white varietals are better suited to the cooler Curico Valley and where Chardonnay and Sauvignon Blanc thrive in some 500 hectares of vines. Marchigüe have four estates that have been delicately developed and tended to in order to produce premium grapes. As a result a number of Internationally renowned Chilean wineries source their grapes from this estate for their high end wines. The Errazuriz Ovalle family efforts have transformed the soils of low commercial value into a true nuclei of prosperity and a source of work for thousands of people, continuing the family tradition of contributing to the progress of Chile. What makes the Colchagua so special? The Colchagua valley has long been synonymous with exceptional red wines known for their depth of flavour and excelling in varietals such as Carmenere, Cabernet Sauvignon and Syrah. More recently producers have been expanding their plantings towards the coast which allows for the cool climate varietals such as Pinot Noir and Sauvignon Blanc to thrive. The vineyards are located on the west side of the Colchagua Valley where they benefit from a unique microclimate of warm days with cooling sea breezes and long daylight hours all of which is ideal for the production of many different varieties: Cabernet Sauvignon, Merlot, Carmenere, Malbec, and Syrah. This special combination of geographical and climatic qualities and resultant high quality wines has been recognised by the industry where wines from the region are no strangers to receiving major international awards and is recognised in key wine industry magazines and other publications.